When I was last in this neighborhood, we were discussing the amazing adaptability of the human machine. Incredible as it may sound, human physiology and anatomy will consistently adapt to the world - and if unable to do so, will give us warning signs (such as pain) and then show us that it is unable to do so - by way of injury. Lest we forget, the body aims for homeostasis - which is, implicitly, "balance". So at any given time, we are in homeostasis and thus always "in balance" relative to the demands on the system at that given point in time. Homeostasis is a wonderful thing. Our cellular mechanisms are constantly seeking homeostasis. We are always trying to find a balance - between stimulus and response, between training and recovery. If you read the clinical literature of running injuries (as an example), there is but one thing that has a direct "cause and effect" relationship with injury - and that is what the scientists call "training error". What this means is that, for most, there is "too much, too soon" or, as we discussed earlier, an inability to recover from and adapt to the current training demands. ... or any of a plethora of "maladies" that end up being clumped together as ... "dysfunction". For many of these supposed maladies, it's unreasonable (and statistically difficult to conceptualize) to simply say that a muscle is just "tight", or that the leg length discrepancy has led to a sequelae of events that have trickled down to the onset of pain - though you may have been doing these activities for many years. Could they have developed over time? Absolutely - but do you not think that the human anatomy and physiology, in it's desire to attain homeostasis (and self-regulate) would choose to NOT indicate a problem via pain or loss of function? We can't survive on the planet - and succeed in the evolutionary process - if our feedback mechanisms take years to make themselves known or present. The pain mechanism is the body's way of signalling a problem in the system - a yellow light on the traffic stop of activity. 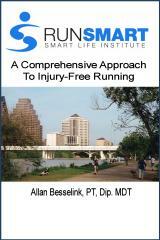 As clinicians, we see clients after they've been injured. We rarely see them beforehand - and thus, we never know what "normal" is for that given person. It bewilders me to think that with such a highly organized and specialized mechanisms of adaptation, that the human body would not adapt to the imposed demands over time .. then suddenly, with no warning whatsoever, break down and present us with the dreaded "imbalance and dysfunction". People with perfect alignment have problems - conversely, people with horrible alignment perform quite nicely. In a large population, we know what the bell curve looks like - and in this case, it applies perfectly. There are outliers, and there is the 68% that form the largest part of the curve - the "normals" as we call them. It is always about the body's ability to adapt to it's environment. For some inexplicable reason, many clinicians never think in terms of loading capacity. Tissues require loading. Tissues require loading specific to a certain demand of a sport activity. We can't avoid instituting those loads - they are critical in the issue. Let's take running as an example. Running involves concentric and eccentric muscle work. It involves having a certain range of motion at the joints to perform it properly. It involves the ability of bone (and surrounding structures) to remodel. In order to get tissues to remodel, it requires the load in question. The body will give us signs that it is adapting readily - or not. It is our choice to listen to these signals - or not. Therein may lie one of the greatest difficulties of training - self responsibility - both in listening to your body and being prudent with the applied loading strategies (training sessions) and in fostering an environment in which the body can adapt to the demands and repair and remodel as it needs to do. From a research perspective, a practical perspective, a functional perspective (and perhaps a pragmatic one as well), the injured runner is simply "not optimally balanced for the optimal execution of life (or insert your favorite sport or recreational activity here) on planet earth ". Perhaps being injured isn't one of the deadly sins I've listed above. Maybe it's simply about letting the system adapt to the demands - and applying those demands prudently, judiciously, and with the time factor required to adapt.